A one day workshop + exhibition hosted by Gaada, featuring 15 students from the Contemporary Art Practice programme at Gray's School of Art, Aberdeen. 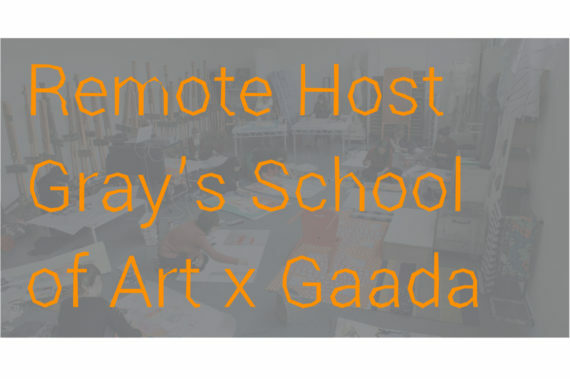 Remote Host is a one day workshop + exhibition hosted by Gaada and featuring 15 students from the Contemporary Art Practice programme at Gray’s School of Art, Aberdeen. The students will gather research and develop works whilst exploring the isles during a one week field trip. This period will culminate in an exhibition/event of print-based work in West Burra Isle. For one night only the students will transform Gaada’s studio, a 125 year old former methodist chapel, and reflect on their experiences in Shetland. Due to the terms of the building, entry is strictly by a prior RSVP through this link. Come you.